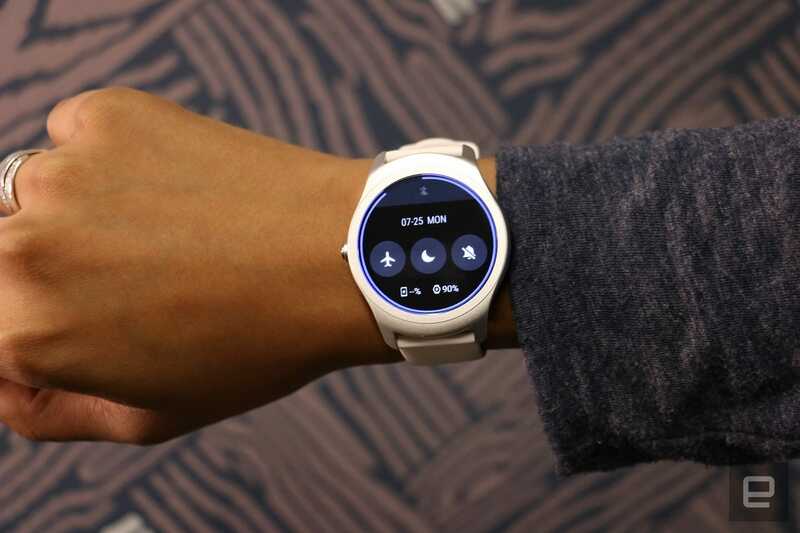 Before making its own device, Mobvoi helped Google get Android Wear into the Chinese market. You probably haven't heard of Mobvoi, the Chinese company that helped Google circumvent some blocked services to bring Android Wear to China. But now might be a good time to get to know the company. Mobvoi debuted its Ticwatch 2 smartwatch on Kickstarter today, bringing its popular smartwatch, which was previously only available in China, to the world. I got a chance to use a preproduction Ticwatch 2 for a week and so far, I'm intrigued. I received the $99 "sport" version of the watch with a white silicone band. The Ticwatch 2 attracted plenty of curious glances, and my friends commented on its simple, clean design. It has a standard 20mm band that you can easily replace with other third-party bands you prefer, while the round silver case goes with most outfits. Impressively, the watch also comes with a heart rate monitor and GPS built in -- something you generally won't find on other watches in this price range. 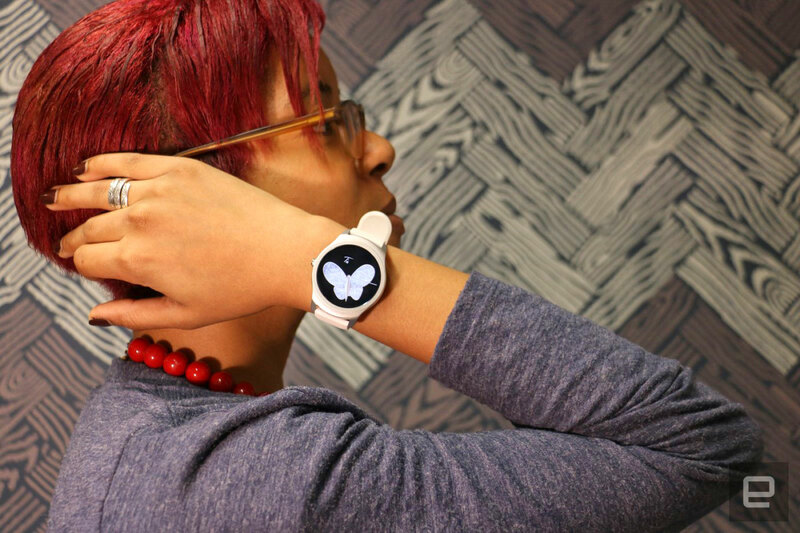 This wearable differs from typical smartwatches in a couple of ways. It runs an Android-based OS that's not Android Wear and has a touch-sensitive surface on the right side of the face. Mobvoi calls this side strip the "Tickle," which, apart from making me giggle, also lets you scroll through menus and notifications and control music playback volume as well as magnify maps on the screen. That's somewhat similar to what you can do with the Apple Watch's crown dial. Although I found myself swiping on the screen more often than "tickling," having this alternate method of scrolling could let developers program swipes for other things. That would make it less swipe-dependent than Android Wear. The side panel was responsive as well and allowed for fine control of the scrolling speed. To me, the biggest selling point of the Ticwatch is its promised compatibility with all Android Wear apps. 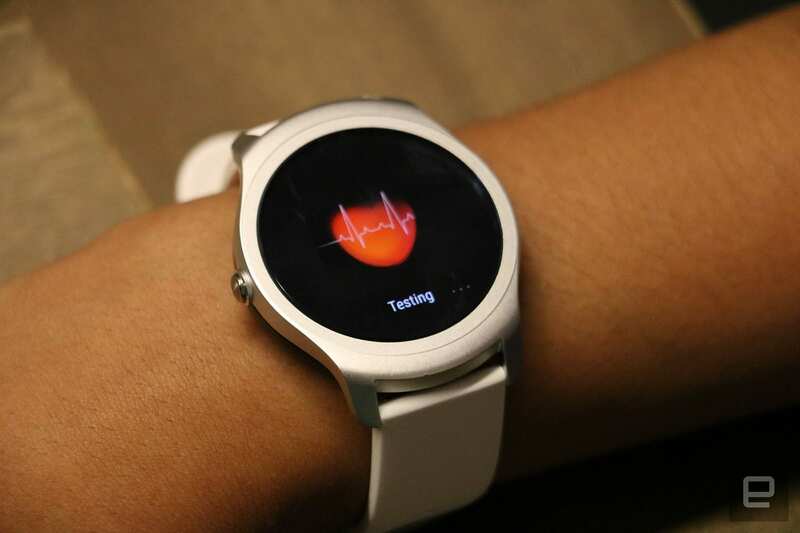 Despite running the company's own Ticwear 4.0 platform, the Ticwatch has a compatibility mode that lets you connect the watch to the Android Wear app and install programs from there. My unit did not yet have this feature enabled, so I can't vouch for how well it performs. But it apparently already works with Chinese devices. I'm generally skeptical of startups and indie brands that make their own operating systems without first getting buy-in from major third-party players. But I was pleasantly surprised by how well a lot of the little things worked. Every time I lifted my wrist to look at the watch, the beautiful butterfly background I picked would appear and light up the watch face, which always displays the time. Other Android wearables dim and stop showing the time after 30 minutes of inactivity, even with "always on" enabled. Gestures are familiar: Swiping down on the face brings down a Wear-like quick settings menu while sliding up shows the Notifications hub. Your watch apps are a left-swipe away while hiding in the left of the watch face is the voice-control page. These functions are much easier to get to than on Android Wear, which would require lots of swiping back and forth. I also liked the bright, colorful OLED touchscreen, which was easy to see in sunlight, and the 300mAh battery lasts nearly two days on a charge. The heart rate monitor is a nice touch, and I appreciated getting the occasional (unintentionally hilariously named) Sedentariness Reminder that prompted me to get up and move. Since Mobvoi is an AI company that focuses on voice-recognition software, the voice assistant on its smartwatch is supposed to be more powerful than (or at least comparable to) others. Like Siri, Tico was able to pull up weather forecasts, nearby restaurants (via Yelp) and Google results. But it couldn't handle contextual follow-up questions (such as "What about tomorrow?" after a question about the day's weather), nor could it show me sports results or a list of nearby ATMs. Siri, on the other hand, fielded these requests without issue. I'll give it to Tico, though: As long as it was activated (whether by trigger phrase or by swiping right), it always correctly interpreted what I was saying. Unfortunately, my test unit still had some flaws. The watch is supposed to support voice and preset responses to messages, but this didn't work on my unit (paired with an Android handset). The voice-control function cannot be woken up with the verbal trigger phrase ("OK, Tico") if the watch face isn't active, and I'm still suspicious about the promise of Android Wear apps on Ticwear. The iOS companion app isn't ready yet either, and for some reason the Yelp app on the watch thought I was in Chinatown when instead I was miles north. Since my test device was not the final version that will ship to backers in September, Mobvoi has some time to iron out these kinks. The Ticwatch 2 is cheaper than most of the competition if you preorder it. At retail, the sport version of the watch will cost $200 while leather and metal versions will cost $250 and $300, respectively. The more-premium metal model won't be available for preorder. The company expects to meet its $50,000 funding goal due to the popularity of its previous product, but its success will ultimately depend on having a smarter voice assistant and true Android Wear compatibility.